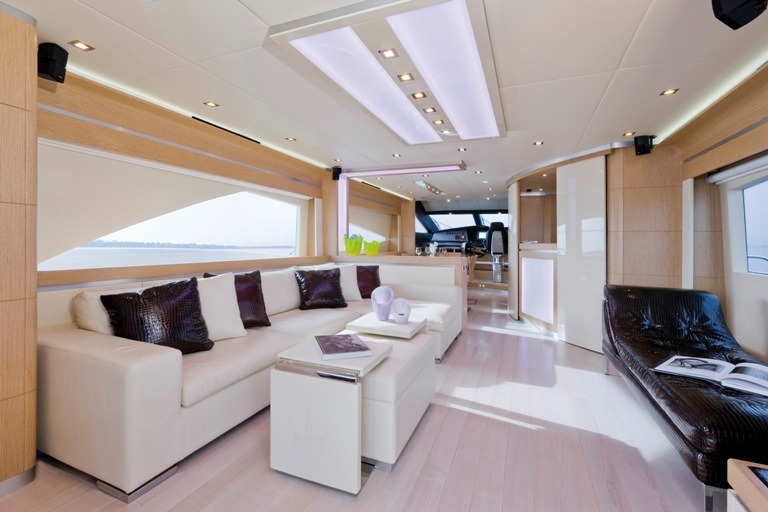 Dominator 780 with 4 cabins for 8 guests and 3 crew with base in Sardinia. 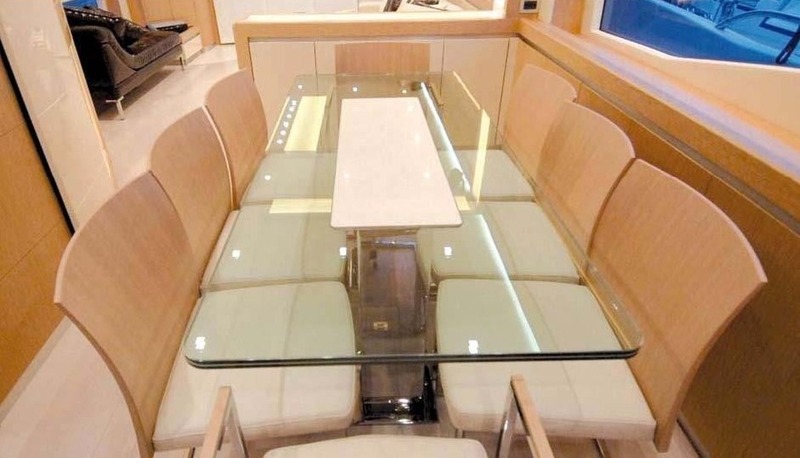 This stylish motoryacht has a great design aimed to reduce the barriers between internal and external spaces. 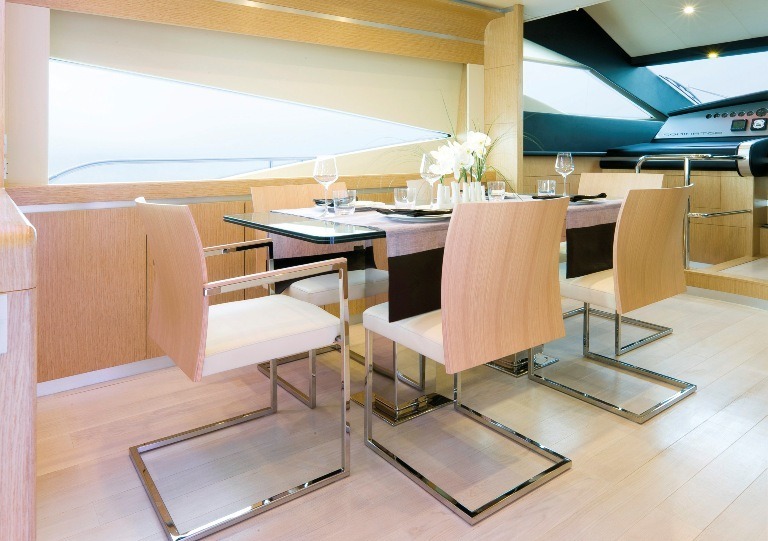 Panoramic windows, a bright living room with wide sofa, a spacious al fresco dining area on the aft deck, a wide flybridge with table for 8, a spacious solarium, a full equipment and a great crew are the features of this vessel. 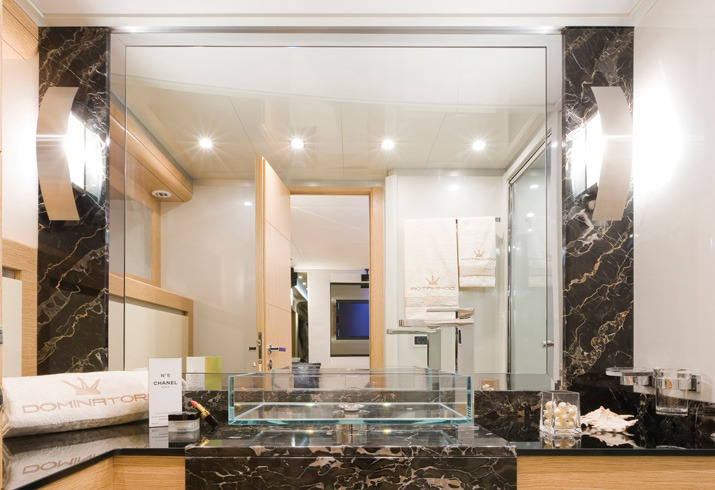 SASCHA has a professional dedicated crew of 3 led by the Captain Samuele Liggeri, an expert and reliable seaman and a very friendly person, always able to grant the best atmosphere for his guests. Captain Samuele Liggeri, Italian, 29 y.o. Samuele was born in 1987 in the wonderful island of Sardinia. He showed a strong interest both in the nautical and the touristic field since his early age and decided to take a Bachelor’s Degree in Economics – specialized in Tourism. 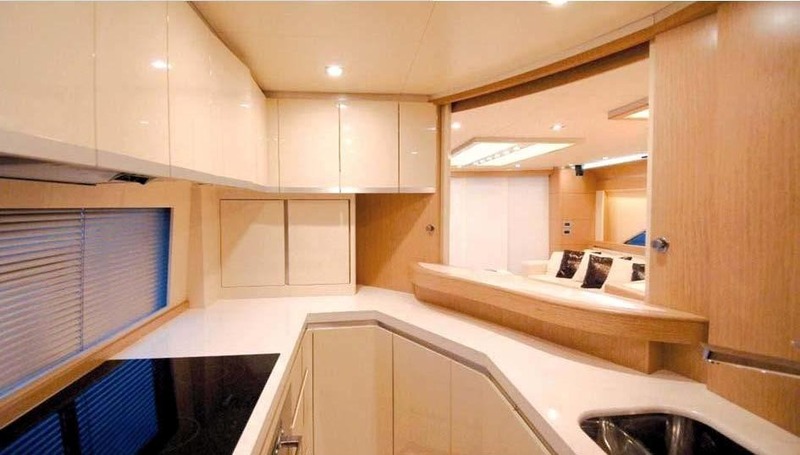 During the university years, he attended several trainings obtaining numerous professional certifications and in 2007 started working on day charter yachts. 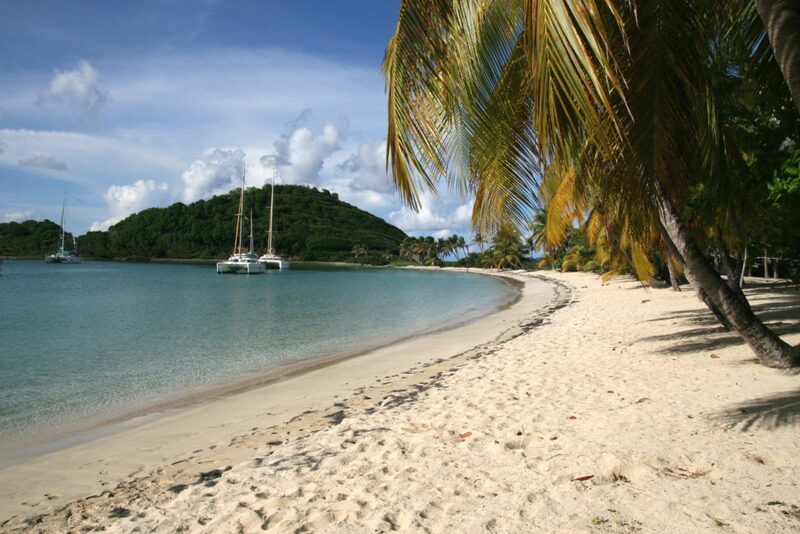 After having achieved a good experience, he started his career as a captain on privately owned luxury yachts. Samuele is a very reliable and professional Captain and he’s used to host guests from different nationalities and backgrounds. Being born and raised in Sardinia, he has an extensive knowledge of coasts and streams and will be happy to suggest his guests the best local attractions and activities. He’s fond of motor sports, football and everything that has to do with the sea. Italian mother-tongue, he speaks a good English. Deckhand/Chef - Francesco Dini, Italian, 37 y.o. 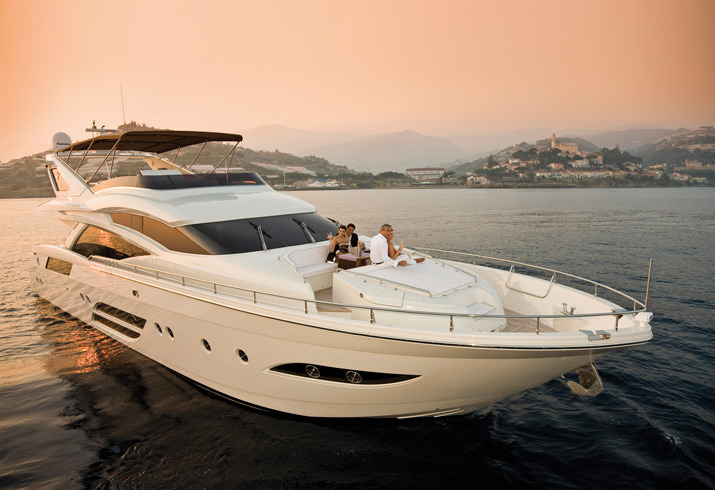 Soon after high school graduation, his love for the sea has taken Francesco to move to the yachting industry. 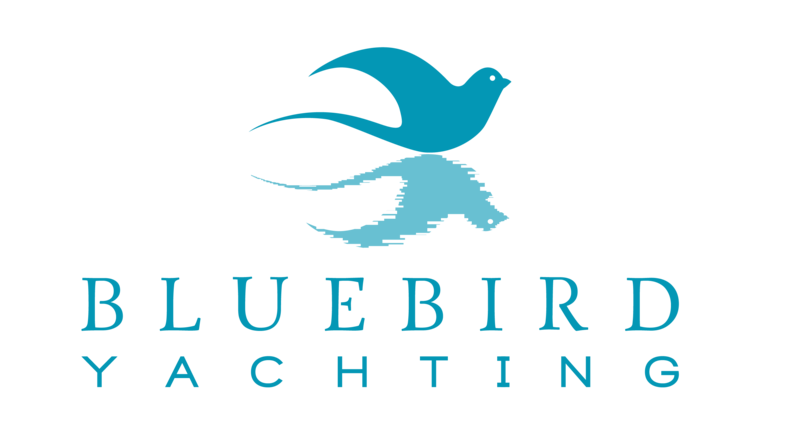 He has worked as a deckhand onboard both sailing and motor yachts such as Dominator 62 JACO, M/Y Princess V50, Enterprise 43, M/S Hallberg Rassy 62, Sangermani 27. 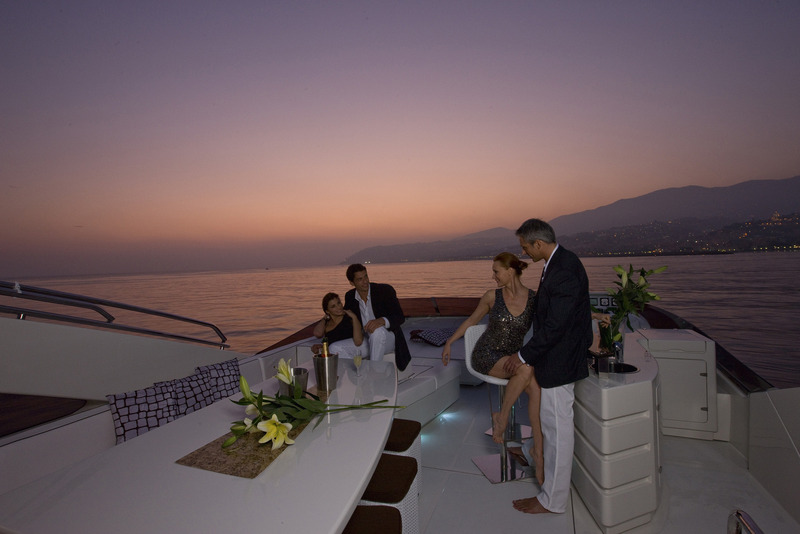 Francesco is a fully qualified deckhand and holds a Nautical License. Hard working nature, dedicated to customer service, he brings passion and a high level experience to the service onboard and holds all the necessary expertise to pamper the guests with his delicious meals. 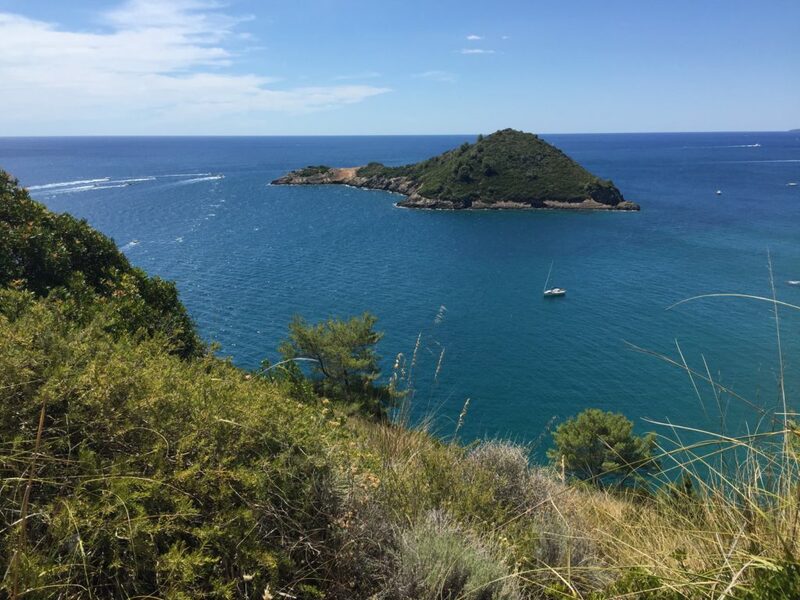 Francesco lives in Sardinia and knows the stunning Sardinian coastline very well, he can plan your itinerary for you and suggest places of great interest. He is Italian mother tongue and speaks basic English. Francesco works in team with captain Roberto since 2011. Stewardess - Anetta Barbara Chylewska, Polish, 36 y.o. Anetta was born in Poland and has been living in Italy for many years; she started working in the yachting industry in 2009 and developed excellent communication and organization skills. Very professional, hard-working and motivated, she pays great attention to details and she loves team working. She is a valuable sous-chef and she is very skilled in plating. Polish mother tongue Anetta speaks Italian very well.